Before placing any private filling we use a special decay detecting dye to show any tiny area of decay our eyes may otherwise miss. We carry out this procedure until we are certain that we have removed all the diseased tooth tissue prior to placing your new filling. There are many different ways to provide a tooth coloured filling. We will always discuss the different options available to you whenever a new filling is required. White fillings on back teeth fall into two basic categories: – Direct (one visit) and Indirect (two visits), and each have advantages and disadvantages depending upon size, shape and of the filling required. The long term future of the tooth is also taken into consideration. After the cavity preparation, the cavity is rebuilt with tooth coloured composite resins which are set using a bright light, and then trimmed and polished to fit your bite and look like a natural tooth. We are able to offer three different options for the placement of a direct white filling which are outlined later in this section. Direct fillings are best suited for small and medium sized cavities. More suitable for medium/large fillings and where at least one corner of the tooth is missing. The provision of indirect composite or porcelain fillings is a two stage process. The first is cavity preparation, the taking of impressions, and provision of a temporary restoration, and then a second visit to fit the resultant inlay (laboratory made) Composite and porcelain are different materials and have different advantages and disadvantages which we take into account when recommending one material over the other. Indirect fillings cost more than direct fillings, as they require more surgery time and laboratory costs. Why do we offer three different options? Our dentists have undergone extra training to be able to place fillings using different advanced techniques, with the aim of maximising the strength and duration of your new filling. 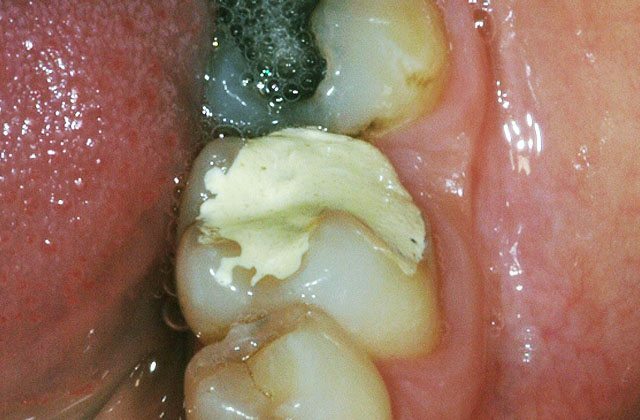 Placement of a direct white filling presents three main technical challenges. When a composite filling is set using the bright blue light, the filling material shrinks very slightly. The greater the shrinkage, the sooner a filling will start to chip and leak around the edges. Very simply a tooth rebuilt with a bulk filling technique using two or three large layers of composite material, will undergo more shrinkage, and start to chip and wear around the edges sooner than a tooth rebuilt using multiple small increments of material, each strategically placed to minimise shrinkage. It is important that every new filling is built to fit tightly against the neighbouring tooth to minimise food packing and plaque accumulation, which can lead to fresh decay and/or inflammation of the gum. Different techniques are available to us to build out contact areas. For medium and large cavities, laboratory made indirect restorations give us the best, most consistent results. Different setting protocols, polishing and glazing techniques can significantly reduce the amount of surface wear suffered by the new filling during normal usage. Our bespoke range of white fillings incorporates several additional finishing stages, maximising cosmetics, but giving the hardest surface we can with a direct composite filling. What are your dental filling options? The majority of white fillings have always been provided in this manner as it is a fairly quick and cost effective method. After cavity preparation, a bonding agent is applied to the tooth and the filling is built up using a bulk fill technique of two, three or four layers of filling material. The resultant filling is then trimmed to shape and polished simultaneously. 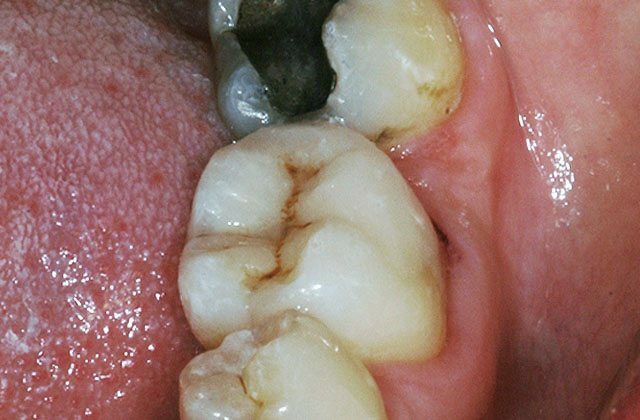 Fillings provided with this technique have a life span comparable to the average amalgam filling of approx 8 years. However the shrinkage and wear rates are highest with this technique and small surface deterioration can be noted after just a few years, which we then monitor at your dental health checks. The shrinkage and wear increases with the size and shape of the cavity. Time and Technology move forward, we now have methods available to provide stronger, better fitting and better looking fillings and we have the skills to provide them for you. The aim of a superior filling is to give a much stronger filling, with significantly reduced shrinkage and therefore greater resistance to chipping than a standard filling. A filling constructed this way can help to strengthen teeth with weak or cracked enamel walls. We are able to use different systems to aim for the best possible contacts with adjacent teeth. For our superior fillings we restore the tooth using multiple small increments of filling material, each one strategically placed to rebuild the tooth’s internal anatomy, and each one individually set to minimise the shrinkage of the material and the stress placed on the tooth. This may easily involve 10-15 placements compared to 2-3 layers used in a bulk technique and a different setting protocol is used to achieve increased hardness of the material. Once completed and the bite is properly adjusted, additional polishing, glazing and setting are performed to give a harder more durable surface. A superior filling requires approximately twice the time needed to place a comparable standard filling. This is our gold standard for the placement of tooth coloured composite fillings. Prior to filling placement the tooth is isolated with a rubber sheet to provide optimum moisture control. Several layers of bonding agent are applied to maximise the strength of the chemical bond into the tooth. The tooth is then rebuilt using multiple increments of material as with the superior filling, or sometimes with a base layer of slow setting composite that doesn’t use the light to set and which has the lowest possible shrinkage. For that ultimate natural look we can even run characterizing natural look staining into the fissure pattern of the filling. A bespoke filling takes approximately 15 minutes longer than a superior filling. Please remember that every situation is different and there are many occasions where a standard filling is the best option. We will discuss the options and then the choice is yours.